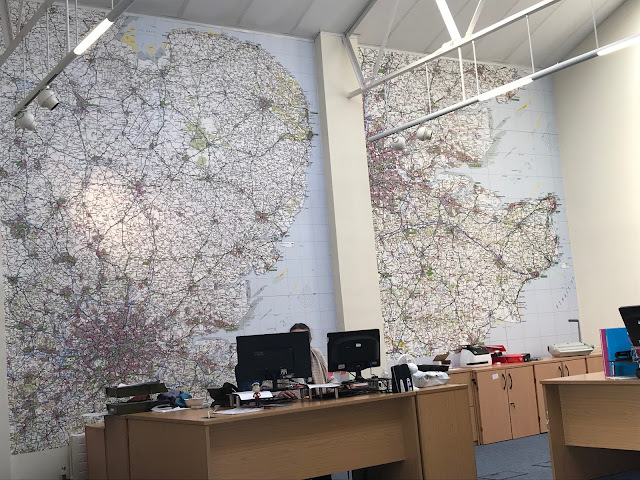 We recently produced files for a client in East Anglia which were used to print giant wall maps. To create sharp, detailed images the data was divided into numerous files and then digitally stitched back together. The client is very happy with the results and sent us this photo of the maps in situ.